"Godzilla" reviews: Does the new monster reboot have bite? The world's most famous monster is back on the big screen. "Godzilla" -- and its namesake creature's wrath of city-crushing destruction -- smashes its way into theaters this Friday, with a cast that includes Bryan Cranston, Elizabeth Olsen and Aaron Taylor-Johnson. Critics are sharing their takes on the reboot, helmed by director Gareth Edwards. Reviews have been mixed -- with more praise for the monster than the film's human characters -- but many seem to agree the film lives up to the Godzilla legacy. "Edwards' 'Godzilla' is a pleasingly paced 3-D spectacle that pays chilling homage to the artful legacy of the original 1954 film -- Ishiro Honda's 'Gojira' -- while emerging as its own prodigious monster movie." -- Jessica Herndon, Associated Press. "Someone should tell Warner Bros. that when they've got a presence as big as Godzilla, they don't need movie stars, because frankly, who remembers the characters in a rampaging-kaiju movie anyway? Still, just to be safe, the studio has stuffed Gareth Edwards' deafening, effects-driven reboot with an Oscar winner (Juliette Binoche), three Oscar nominees (Ken Watanabe, Sally Hawkins and David Strathairn), an Emmy winner (Bryan Cranston) and an Olsen sister, leaving scarcely enough screen time for the monster itself." -- Peter Debruge, Variety. "Unlike last year's disappointing 'Pacific Rim,' 'Godzilla' actually shows us its monsters without a scrim of rain and a cloak of darkness. And the thrill of the film is getting the chance to fetishize their sheer size and physicality as they rip through power lines and demolish buildings with their lashing tails. In its handful of moments like these, 'Godzilla' almost makes you feel like a kid again." -- Chris Nashawaty, Entertainment Weekly. "Superbly made but burdened by some dull human characters enacted by an interesting international cast who can't do much with them, this new Godzillais smart, self-aware, eye-popping and arguably in need of a double shot of cheeky wit." -- Todd McCarthy, The Hollywood Reporter. "This 'Godzilla,' though it surpasses Roland Emmerich's 1998 Hollywood version, remains safely within the bounds of the modern action movie spectacular. It is at once bloated and efficient, executed with tremendous discipline and intelligence and conceived with not too much of either." -- A.O. Scott, The New York Times. "The title character looks imposing, in the CGI work of Peter Jackson's Weta Digital sorcerers, but the movie is often so dark, using a palette of gray and brown, as if coasted in rust, that he's hard to see. ... And the human drama, mostly involving Joe Brody (Cranston), his wife Sandra (Juliette Binoche) and his son Ford (Aaron Taylor-Johnson), never clicks. The problems of these three little people don't amount to a hill of beans when San Francisco is getting Sanforized." -- Richard Corliss, Time. "The climactic fight grows a bit wearying, and plot holes loom. Cleverly, though, destruction is not always shown head-on; sometimes it's glimpsed through a hazy airport window or car windshield....Aiming for a titanic tale that is also seriously ominous, 'Godzilla' opens with a bang and concludes with an exhilarating roar." -- Claudia Puig, USA Today. 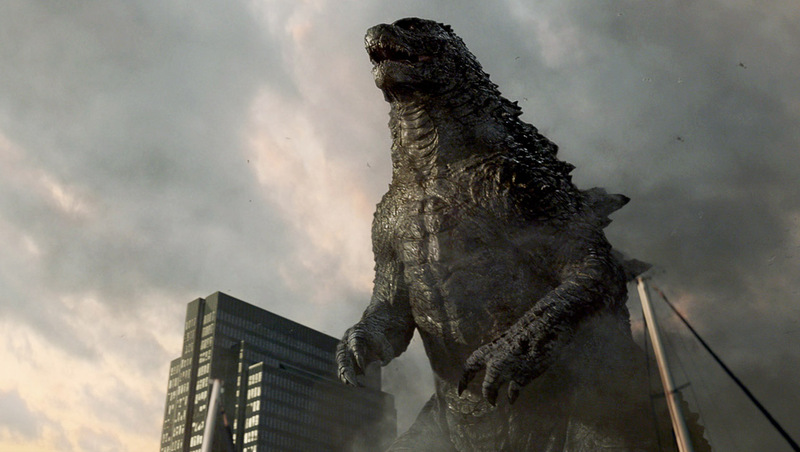 Tell us: Do you plan to see "Godzilla"?